Here's a fun Mother's Day project that Tari designed a couple of years ago for Art Bead Scene! 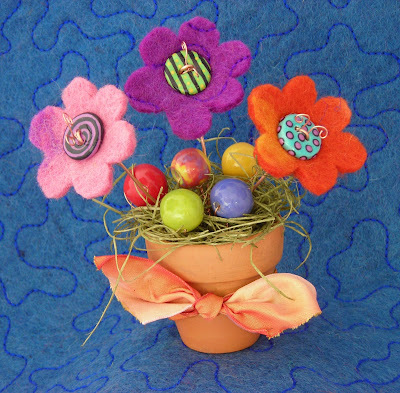 Using handmade beads, buttons, and felt, this cute bouquet will last much longer than fresh flowers. Click here to see the project in our archives. Just in time for butterfly season, Lisa shares an easy bracelet project that will have people thinking you are sweet enough to attract butterflies! It's a new month and that means a new painting for inspiration. Come see the Post Impressionistic village scene that will inspire lots of great beadwork this month! Beadng Arts celebrates "Wire Month" all throughout May! Grab your pliers and come join us! This week Carmi uses a new crystal snap for a felted collar. In a two post series, Resin Crafts shows you how to make an orchid a jewelry component. Oh wow! Jean finally broke down and opened her first Etsy shop! Read all about it here! 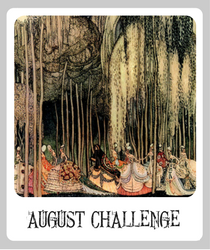 Andrew announces a NEW Reader's Challenge! This time he's teamed up with Lima Beads to offer a great spring-themed kit! Art Beads in Bead Star 2012! Studio Saturday-How Does Your Garden Grow?